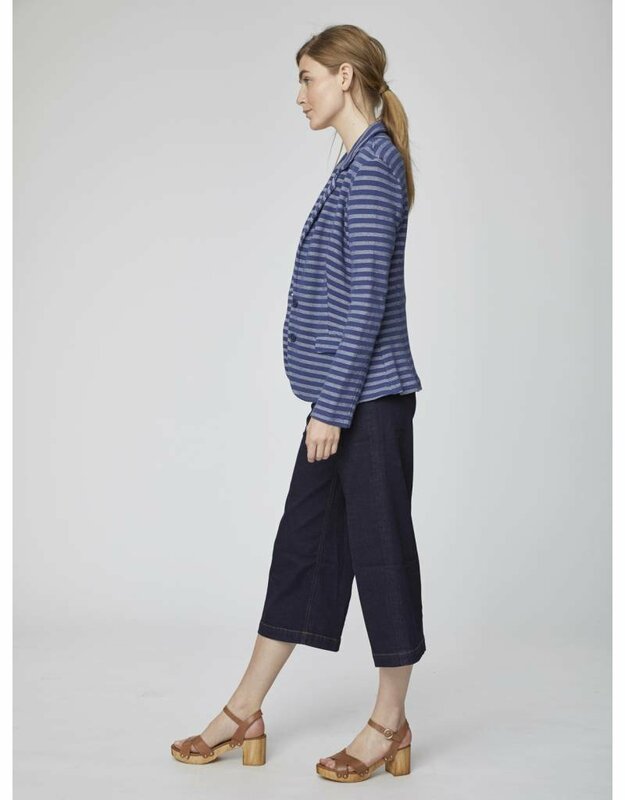 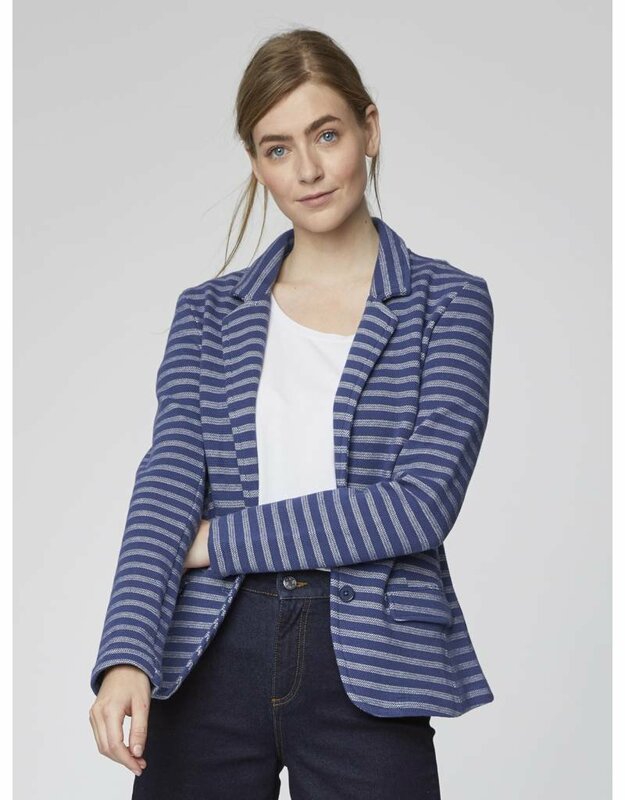 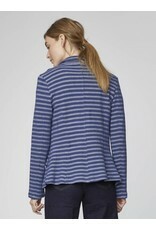 Sustainably crafted from a textured pique fabric, this organic cotton stripe jersey blazer is stretchy and comfortable. 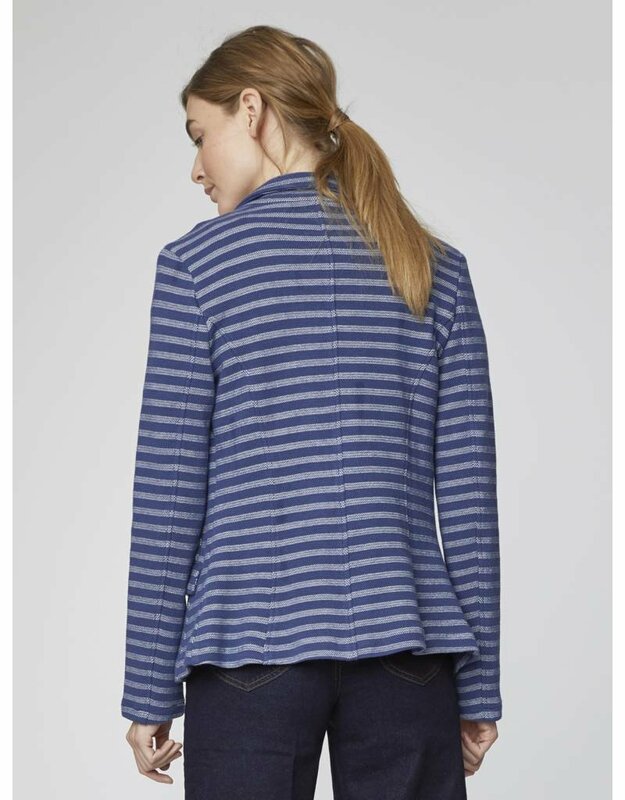 It comes in our much-loved yarn dye stripe design, with practical pockets and long sleeves. 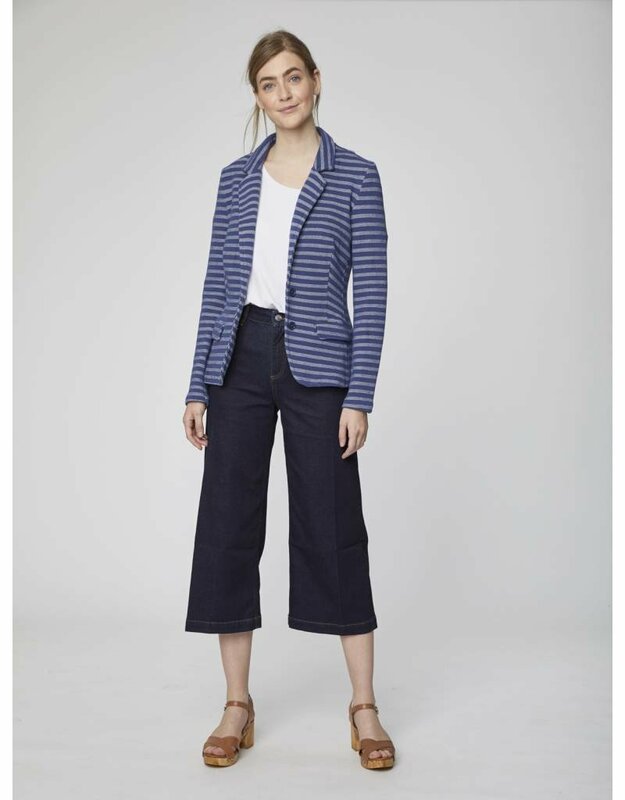 Wear this organic blazer from desk to dinner, with your favourite jeans or a skirt.